What do you do when, no matter how hard you try, you can’t cool down? In the middle of winter, you can sit by the fire or put on extra layers of clothing to get warm. But what do you do when you’ve stripped down and you’re still sweating in the intolerable heat. While going for a swim or having a cold shower can give temporary relief, night time can be the most challenging – especially if you don’t have access to air conditioning or fans. We’ve searched wide and far to come up with the ultimate list of ways for keeping cool. Some of them are obvious, while others are simply ingenious or even a bit odd! We’ve tried to include as many FREE ideas as possible as well as products that can be purchased or hand-made. We hope that we’ve been able to provide enough suggestions that you find the method that works best for you. If you need immediate relief from the cold, the best way is to concentrate on cooling your body instead of the surrounding environment. We don’t recommend freezing cold water – but a steady stream of tepid or cool water can help bring your core body temperature down and washes off the sweat so you can head to bed cool and clean. Just remember not to come in from high temperatures outside and jump into a really cold shower. You put yourself at risk of having a heart attack. Use your good judgement and use caution. Aloe penetrates the skin deeper than water ensuring that your skin stays moist and cool for longer. In fact Aloes natural cooling effects drop your skin temperature by 5 degrees as soon as it makes contact. This makes it an ideal treatment for sunburn and as a moisturizing gel. Make your own spray by combining 1 part aloe vera to 3 parts cool water. Your feet and ankles are covered in pulse points that are sensitive to temperature. Cool down your entire body by dunking your feet in cold or icy water. The pulse points transfer the cool feelings throughout your body and into your central core. Soak a pair of socks or a headband in cold water for long lasting cooling effects. The water will keep you cool while it slowly evaporates. If there is any sign of a breeze, a wet t-shirt and shorts can also do a really good job at keeping you cool. Stay clear of blacks and browns in the middle of summer. Dark colors absorb heat and can quickly make you feel hot. The best colors are white, beige and light pastels. They reflect heat and keep your body cool and lift your mood. Lots of people have heard about using wheat or rice packs in the winter to keep themselves warm. However, not many people realize that rice can also stay cold for long periods of time. If you don’t have an ice pack or water bottle handy, you can make your own ice pack by stuffing a sock full of rice. Put it in the freezer for at least an hour and when you take it out, you’ll have a great homemade ice pack that will stay cool for up to 30 minutes. Your body is covered in pulse points that can be activated to make you feel hot or cold. As well as your feet and ankles, another pulse point is located in your wrists. Run cold water over your wrists to quickly cool the blood near the surface before it travels to other parts of your body and into your core. This is a great way to cool down if you’re at an event or don’t have time to try any of the other methods. If you’ve ever put a cool gel or liquid on your face you’ll appreciate how refreshing it can feel. Put your lotions and moisturizers in the fridge until you’re ready to use them. When it comes time to apply them to your skin it will feel extra cool and soothing. When it gets hot don’t forget to hydrate! In the middle of summer, you need to drink more than you normally do. It’s surprising how much water is lost through your sweat glands. Tip: Make sure you drink a good size glass of water before you go to sleep. As tempting as it may be, don’t overdo it or you’ll be up at 3 am for a bathroom run and will probably find it difficult to get back to sleep again. When the nights turn hot and muggy, getting to sleep can be a real challenge. As long as you’re tired, 20 or 30 minutes relief from the heat may be all you need to help drift off to sleep. 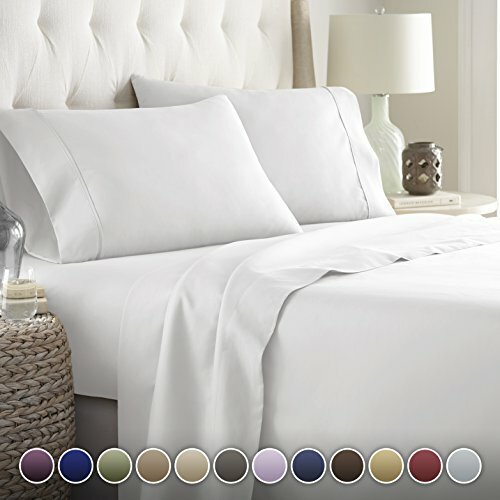 Cotton sheets breathe more than other fabrics and promote ventilation and airflow in the bedroom. Ditch the blankets, comforters and duvets in favor of sleeping under a single cotton sheet. While satin, polyester or silk sheets may feel cool on your skin, they trap the heat and make you feel hot in the middle of the night. Place your pillow and top sheet in the freezer for a few minutes before heading to bed. We recommend putting them in a plastic bag before putting them into the freezer to avoid ice buildup and to stop them absorbing the smell of the foods in your freezer. The feeling of slipping into cool sheets is amazing. If you’re lucky, you’ll fall asleep before the sheets retrun to room temperature. Most people forget that a hot water bottle can also hold cold or freezing water. Either fill the bottle with water from the fridge or put the hot water bottle in the freezer a few hours before bed to give it time to cool down. You can simply place it near your feet to keep cold. And because they are designed to hold water, it won’t sweat and you won’t have a mess in the morning. 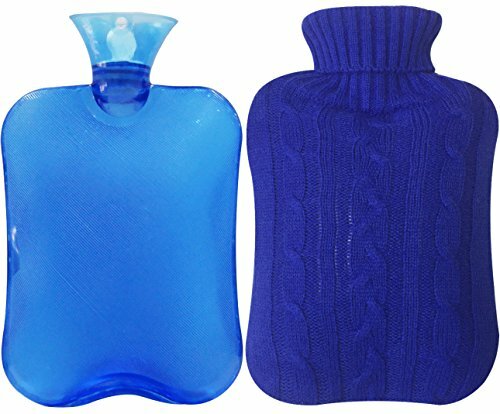 Hot water bottles are extremely efficient at keeping cold and take a long time to loose their cooling effect. Nearly 5,000 years ago the Egyptians found a good way to keep cool on hot and sticky nights. Take a bedsheet or a towel that’s large enough to cover your entire body. Soak the sheet in water and put it in the washing machine to spin the water out. By the time you finish, you should have a damp sheet or towel that you can drape over your body when you go to sleep. Surprisingly, the sheet will stay cool due to the process of latent heat. This is the same process your body uses when it sweats to keep you cool. We recommend a dry towel on the bed to avoid transferring the moisture to your mattress. This modern solution consists of a blue pad that sits inside or on top of your existing pillowcase. Personally, we prefer the as it is made from three independent panels and the gel doesn’t move to one side under the weight of your head like some of the other gel pad designs. When you’re lost in the bush, the warmth of another body can literally stop you from freezing to death. But in the middle of summer, cuddling up to a loved one is guaranteed to make you hot and sweaty. As hard as it is, sleeping alone is one of the best ways to stay cool. Not only can you spread out on the bed, but the extra movement of air around your body will keep the temperate down. If you’re desperate for a cuddle, the early hours of the morning just before the sun comes up is normally the coolest part of the day. Resting in a hammock on a summers day is a great way to stay cool. With the bed suspended on all sides, the air is able to completely surround your body. 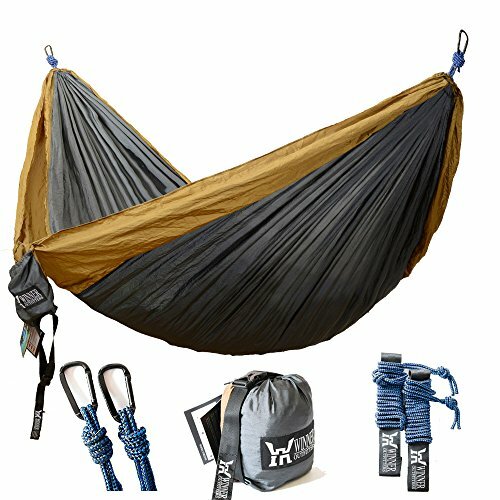 Find a shady spot under a tree to hang your hammock and to stay out of the suns rays. Put your matress on the floor or lay on the floor. Warm air rises, and the coolest part of the house is down near the floor. It can also help to sleep on the lower levels of a multistory apartment or house. While the floor may not be the most comfortable place to lay, you will certainly notice the difference. Everyone know that an electric blanket can keep your bed warm in the middle of winter. However, not many people know that you can get electric blankets that actually cool your bed in the middle of summer. 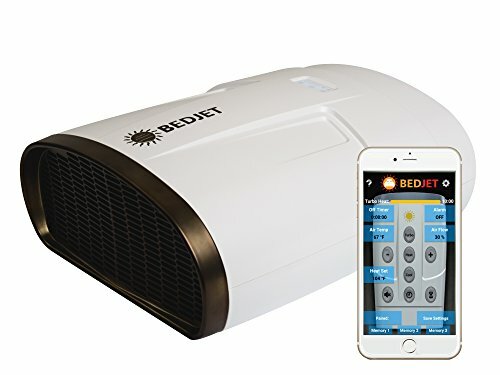 With inventions like the BedJet (created by NASA spacesuit engineer Mark Aramli), you can convert your bed into a temperature controlled environment without changing your mattress or your favorite blankets. Traditional pillows retain body heat, making your pillow uncomfortable, particularly during the hot summer months. The lack of air flow prevents warm air from escaping your pillow’s fill. 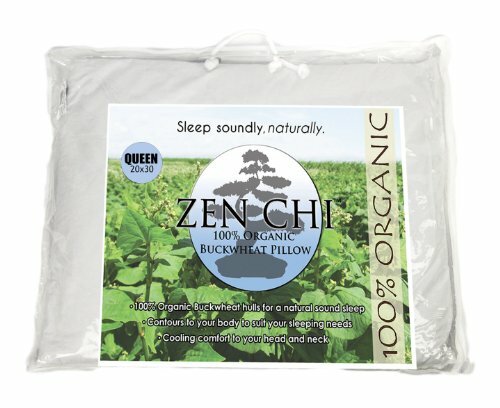 Unlike conventional pillows, a buckwheat pillow is naturally cool in the summer. This is mainly due to the fact that buckwheat has naturally occurring spaces between the grains and doesn’t store body heat – even when several pillows are packed together in a tight pillowcase. Some simple changes around your house can increase the airflow and introduce moisture back into the air. Instead of pushing the hot air around the room, put your fan by the window and point it outside to push the hot air out like an exhaust system. Box fans are ideal because the fit squarly in the shape of a window frame. Adjust your ceiling fans so the blades run counter-clockwise. This pulls the hot air up instead of pushing it down to where you are laying or sitting. Have you ever considered why mountain air is so cold? While it is partly due to the mountain altitudes, the real cold air comes when mountain air flows over snow and ice before it gets to you. Before air conditioners were widely available, people put this knowledge to good use and figured out that if you put a bowl of ice in front of a fan, you can cool the air and introduce moisture into the air as the breeze picks up water droplets as the ice melts. Ice packs work equally as well and tend to last longer than blocks of ice. There’s no reason to turn your lights on early in the middle of summer. The days are long and the evenings are light. Even environmentally friendly light bulbs give off heat. Incandescent light bulbs waste about 90 percent of their energy in the form of heat. So leaving your lights turned off will make a small difference in cooling your house and will also reduce your electric bill. Wet a sheet and hang it in front of an open window. The moisture in the sheet will cool the air as it enters the room. A hanging wet sheet is cheaper than an air conditioner and has a similar cooling effect. Most people don’t feel like eating hot meals in the middle of summer. Other than the obvious heat contained within the meal, the body generates metabolic heat to break down the food. Meals with high protein content are the worst and are the hardest for your body to digest. Instead of tucking into a cheeseburger and fries, consider salads, fruits, and vegetables. Your body can metabolize them easier and raw foods needs less cooking which avoids generating unnecessary heat in your house. If you really feel like a hot meal, fire up the grill or BBQ instead of turning on the oven. Have you ever put your hands on an electrical appliance to be surprised how hot it has become? Even items on standby consume power and generate heat, with computers and television as some of the worst offenders. The only way to stop an appliance from staying warm and wasting energy is to pull the plug out of the wall. If you make a habit of properly shutting down items when you’re no longer using them, you’ll be surprised how much cooler your house will be and how much money you’ll save on electricity. According the U.S. Department of Energy, installing awning to the south and west facing windows in your house can reduce solar heat by up to 77%. As well as reducing heat gain in the summer, shutters are good for retaining heat in the winter and for the overall security of your house. A good set of shutters include adjustable slats that allow you to control the amount of sun you let in. While this is a more expensive option, the added benefits make them a long-term investment for your property. A highly reflective film can be added to existing windows to reduce the amount of light and heat entering the room. Install the film on the east and west facing windows to keep you cool in summer. This will also allow the warming sun to enter the southern windows in winter. There is a range of finishes you can select from. The mirror-like films work better than the colored transparent options. At around $800 to $1,600 (installed), a whole house fan take the hot air inside the house and moves it outside through air vents. It is important to leave your windows open when the fan is running to replace the air that is being removed from the house. Even if the air outside is warmer, the airflow generated will have a cooling effect. For a long term solution, plant a tree on the southern side of your home. Deciduous trees provide plenty of shade during the hot months and result in a cooler home throughout day and night. In the winter they shed their leaves and allow the warming light through. Keep your curtain or blinds closed during the day to stop the suns heating rays from heating up the house. According to the Family Handyman website, up to 30 percent of unwanted heat comes from your windows, and using curtains, shades and blinds can save you up to 7 percent on your electric bill and lower the indoor temperature by up to 20 degrees. If you work at home you won’t want to close all the curtains. In this case, concentrate on shading the southern and western windows in the house. We’ve given you 31 of our best ideas for keeping cool. How do you keep cool in the middle of summer? Share your ideas in the comments below and share this post with your friends to help them keep cool when the temperature starts to rise.